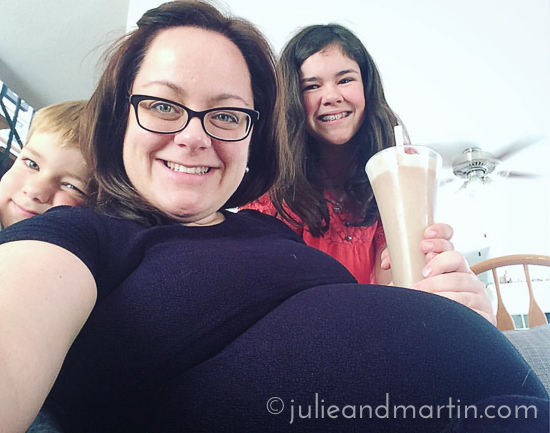 When you are 3,650 weeks pregnant, and it’s nearly 90-degrees Fahrenheit, and your adopted country doesn’t *do* air conditioning, you sit under the ceiling fans on full-blast and guilt-trip your minions to bring you fresh smoothies all day. 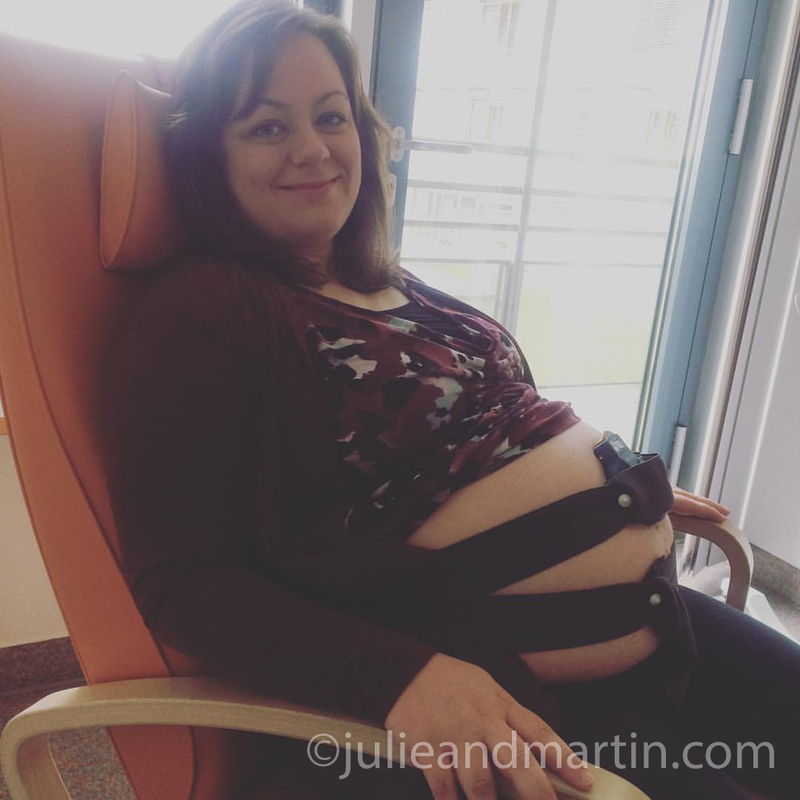 Martin and I were at the hospital last Friday for a visit with our birthing team after my appointment Wednesday with my doctor showed some maternal issues that we’re monitoring. 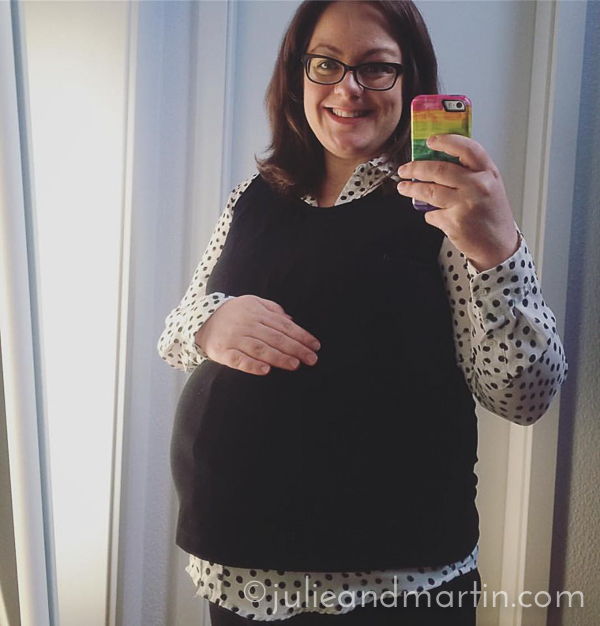 Even though these things are monitored for all pregnant woman at any age, nevertheless, as my doctor explained the issues at our Wednesday appointment, I thought of the song “Old Gray Mare” from my childhood. The old, gray mare…she ain’t what she used to be! I don’t stand. I just lean a lot. Week 35, and I’m feeling pretty good. Here we are, buckled in for another doctor’s appointment. I went shopping yesterday to pick up a few more items for my upcoming hospital stay. 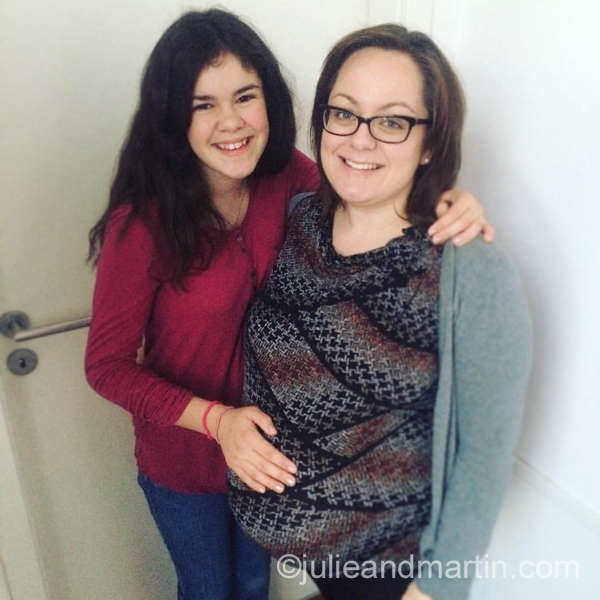 I learned my lesson with Jaz, who showed up three weeks before his due date. 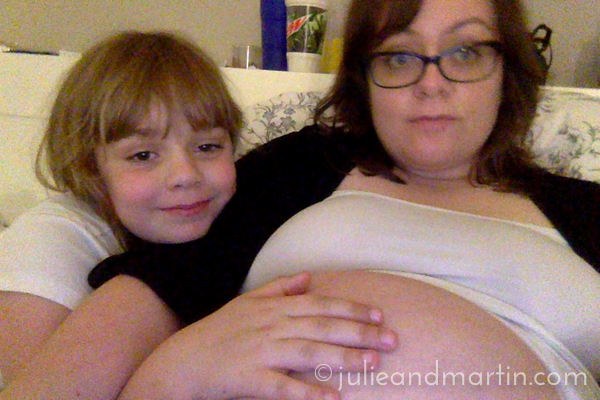 We were so unprepared and in a rush … all while I was in active labor. During the course of my hospital stay, Martin ended up having to go back and forth from the hospital to the house to bring things I needed that we forgot. He also had to swing by a baby store to buy a car seat and newborn outfit to take the baby home! Sitting in my shared office space, trying to act normal amongst my peers while feeling like John Hurt in that infamous “chestburster” Alien scene … I’m pretty sure Fest Baby is trying to stand up. 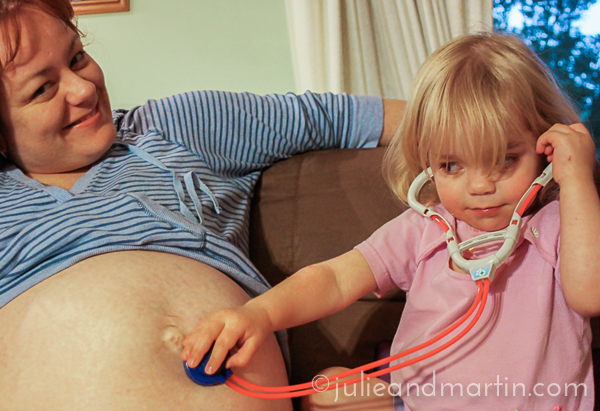 Today’s #TBT photo is from 2011, and shows Lola (age 2) listening to her brother’s heartbeat using her toy stethoscope. He arrived just a few weeks later. I had to smile when I saw this photo again, because she’s been a fantastic medical assistant this time around, too. 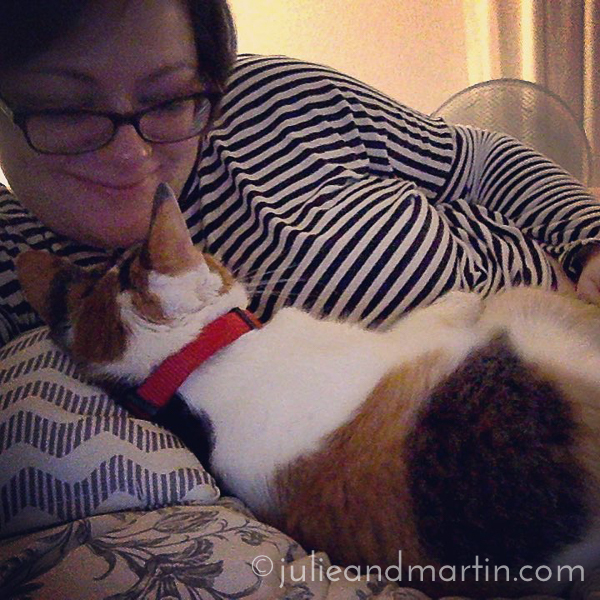 This photo is proof she’s always taken excellent care of her Mama! And let it also be proof that a belly piercing is never a good long-term investment. My teenager needs to clean her room. Busted. 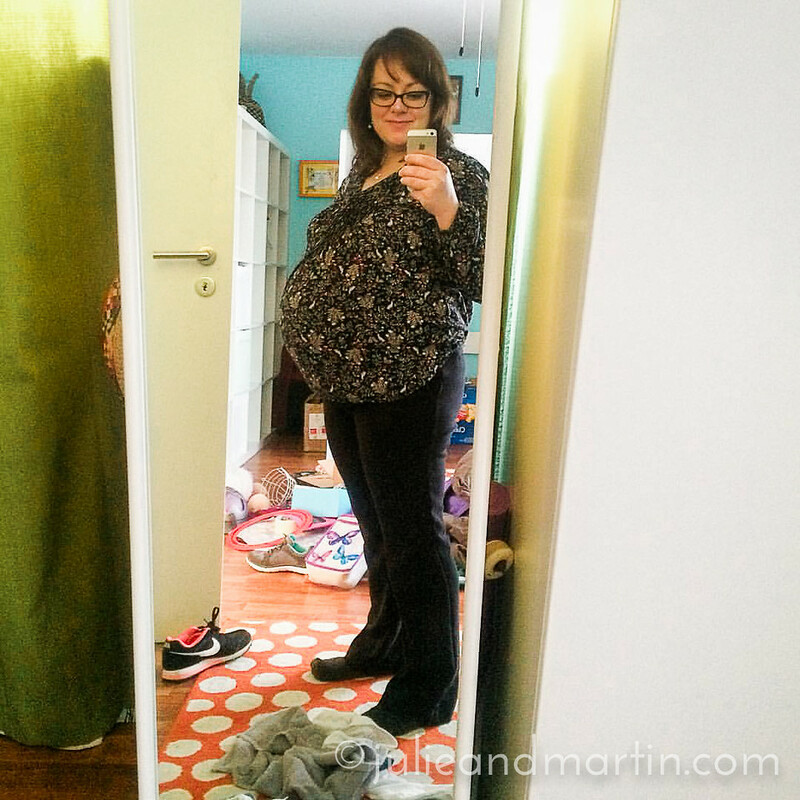 I’m nearly 32 weeks along now, and very much in that stage where the glow of pregnancy has dulled a bit. 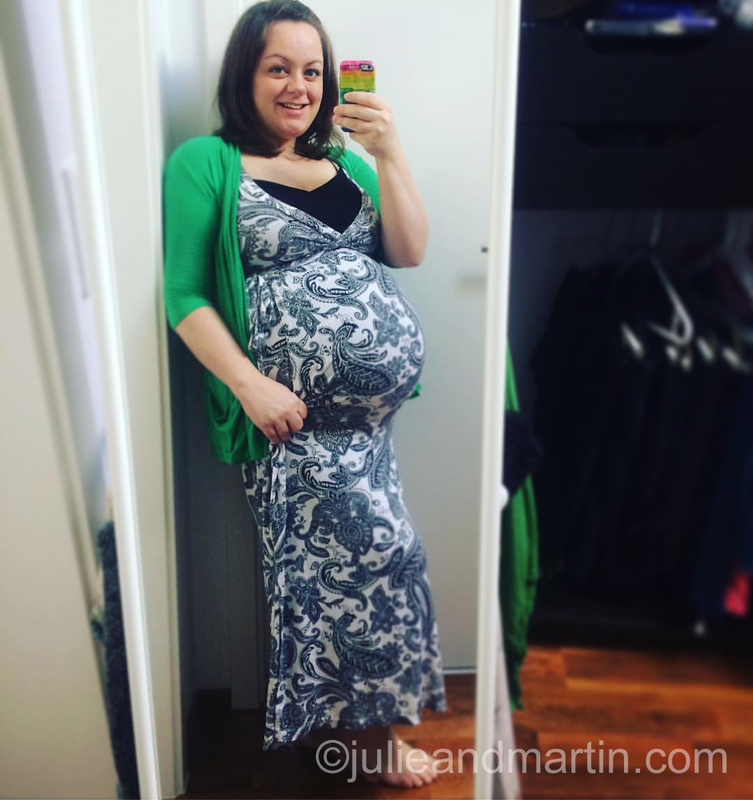 Make no mistake: I’m still enjoying this pregnancy. But it’s no longer cute: it’s just plain uncomfortable.